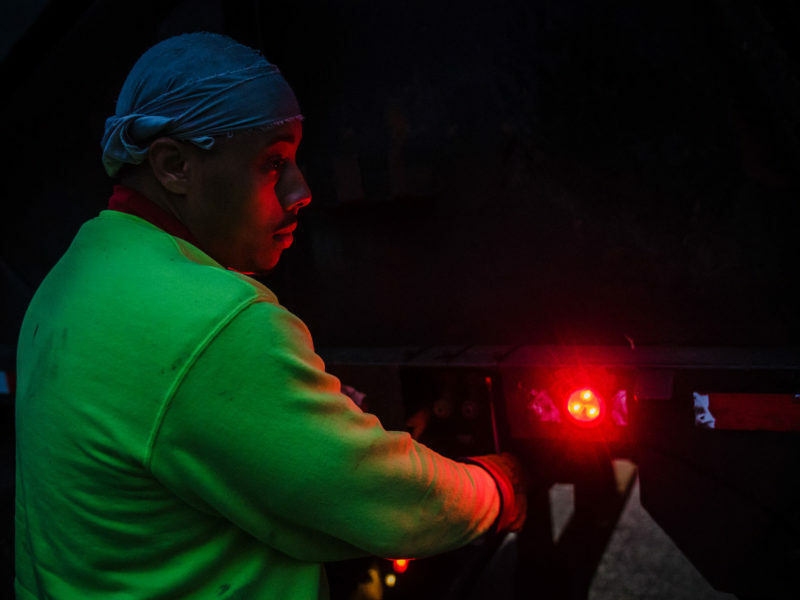 Fatal accidents, off-the-books workers, a union once run by a mobster. 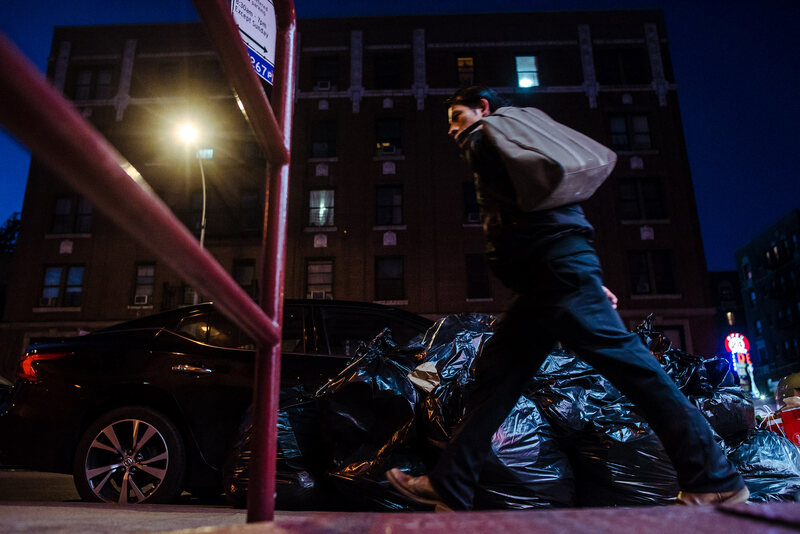 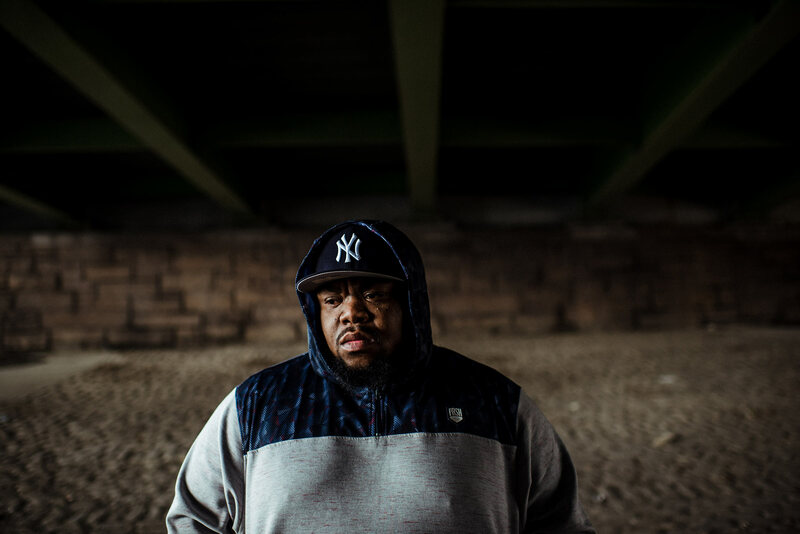 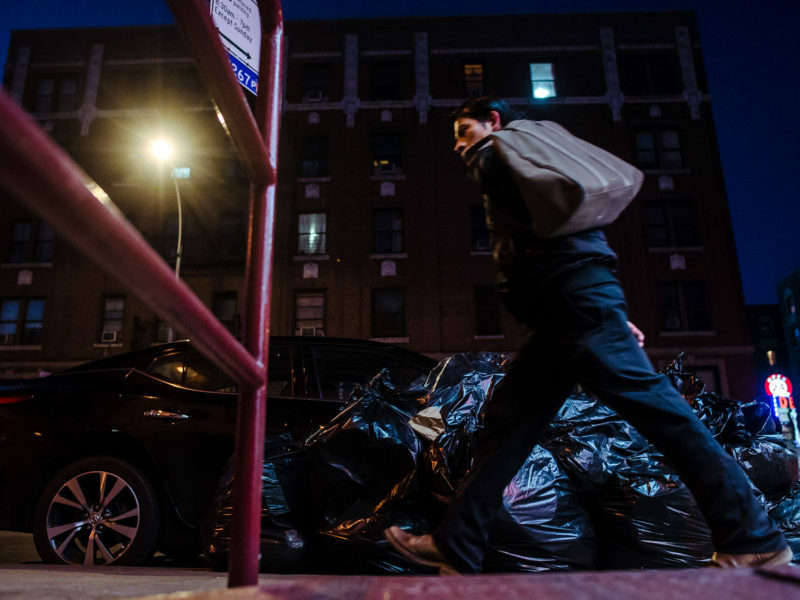 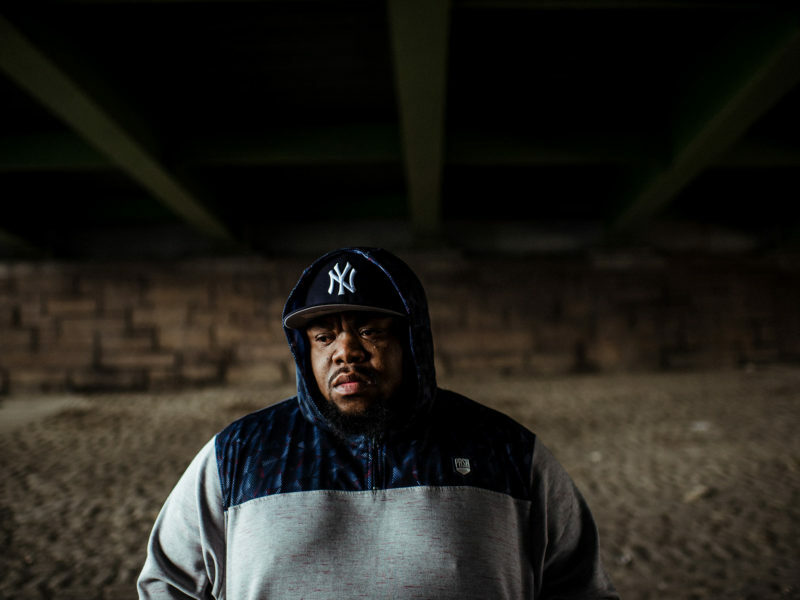 The rogue world of one of New York’s major trash haulers. 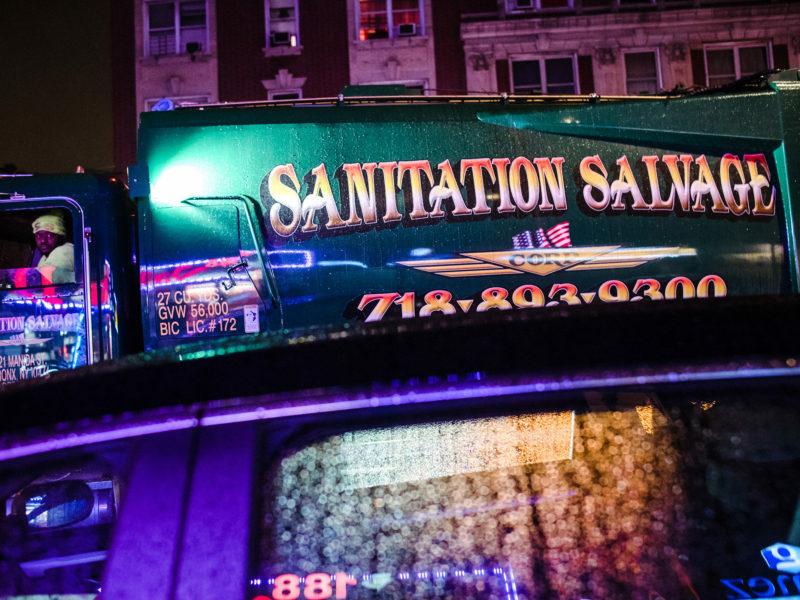 A ProPublica investigation into Sanitation Salvage. 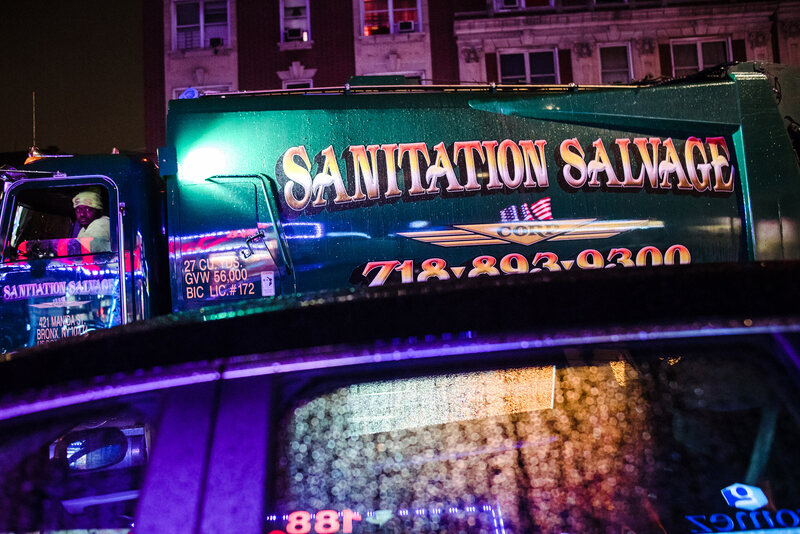 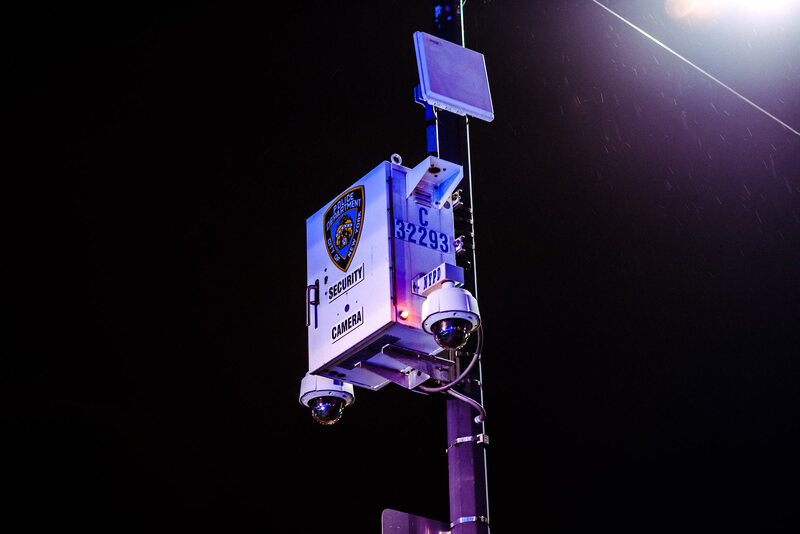 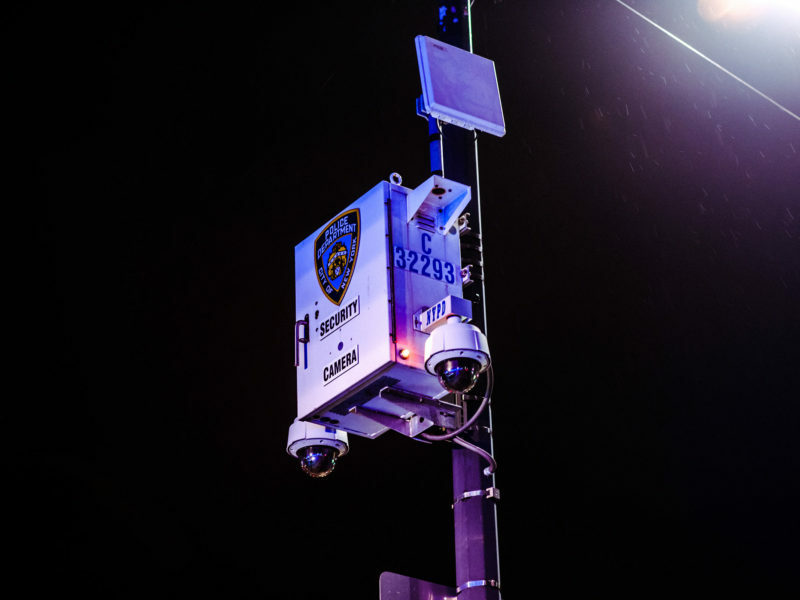 After the publication of this investigation, Sanitation Salvage surrendered their license to collect trash in New York City and ceased operations permanently. 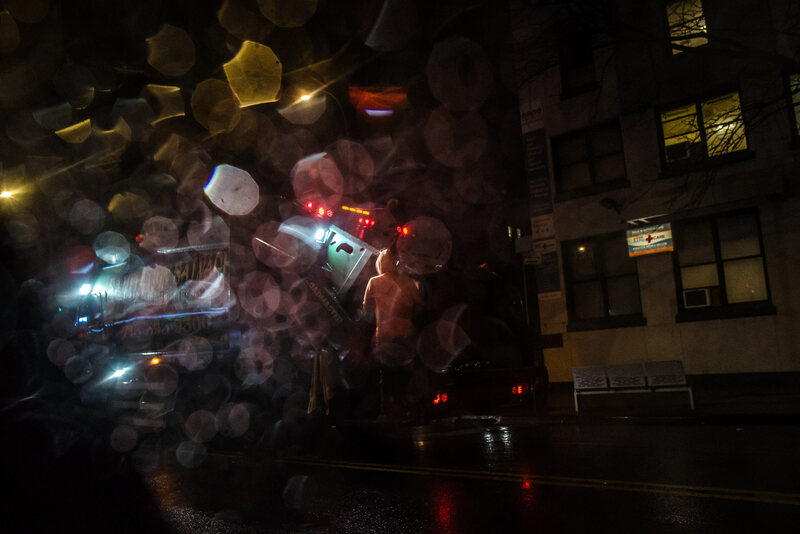 Sean Spence, seen driving a shift earlier this spring, is now under investigation after his second fatal accident in the last several months. 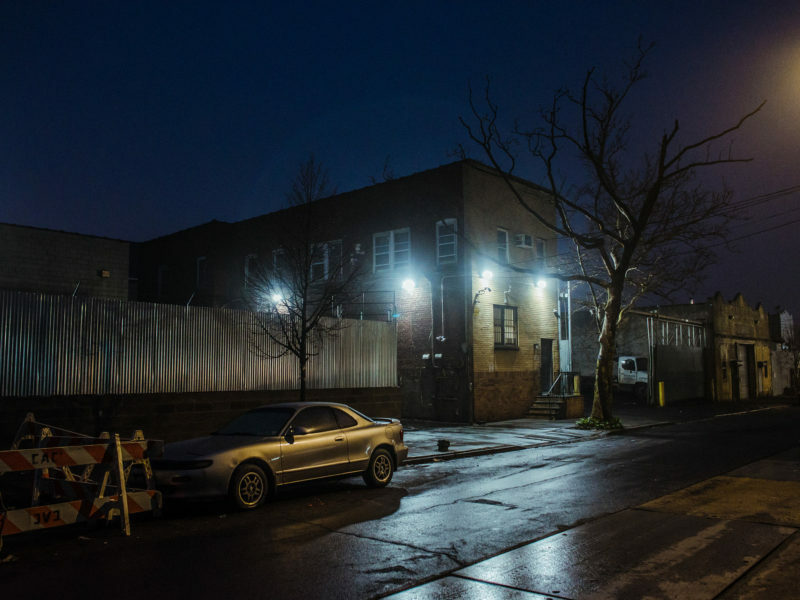 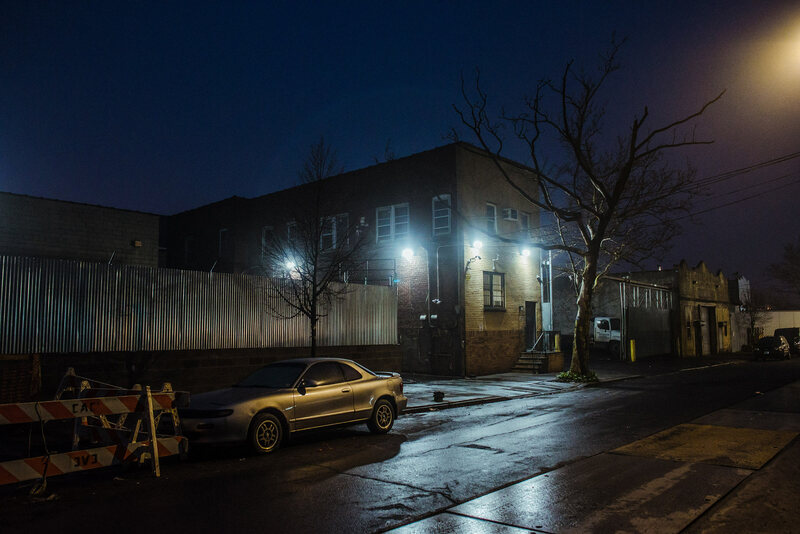 Sanitation Salvage’s headquarters in the Hunts Point section of the Bronx. 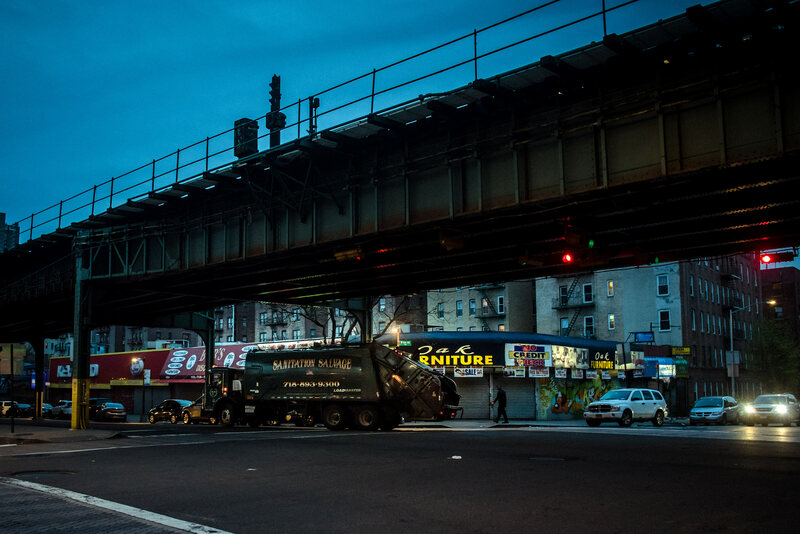 A Sanitation Salvage truck makes the same turn on Jerome Avenue and Gun Hill Road in the Bronx where Mouctar Diallo was killed by one of the company’s trucks in November 2017. 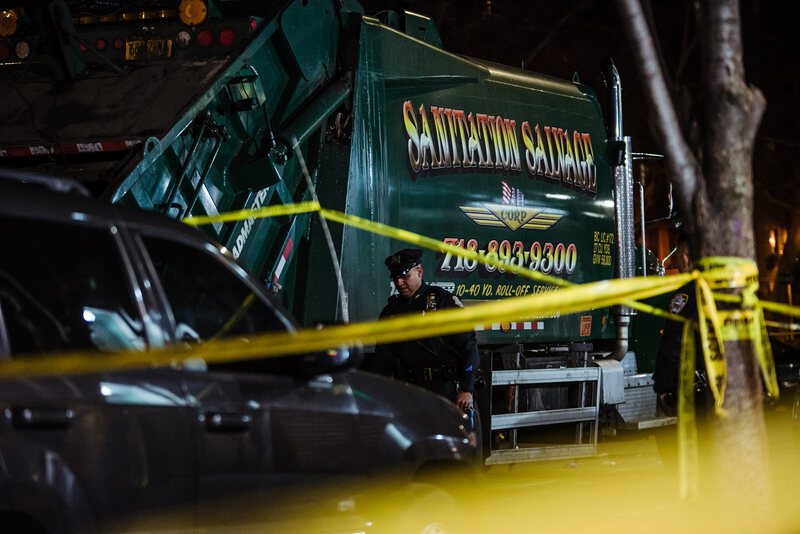 The scene where 72-year-old Leo Clarke perished under a Sanitation Salvage truck in spring 2018. 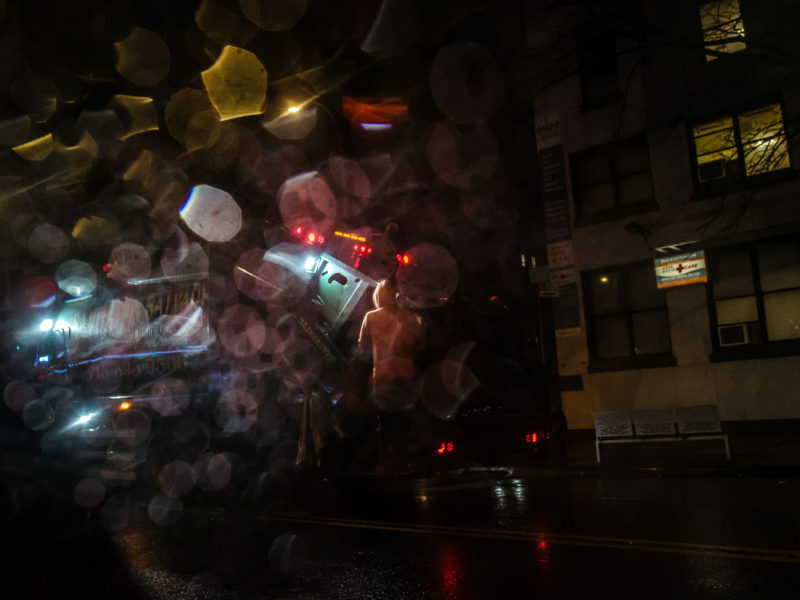 Driver Sean Spence faced no repercussions after lying to police about his first fatal accident last fall. 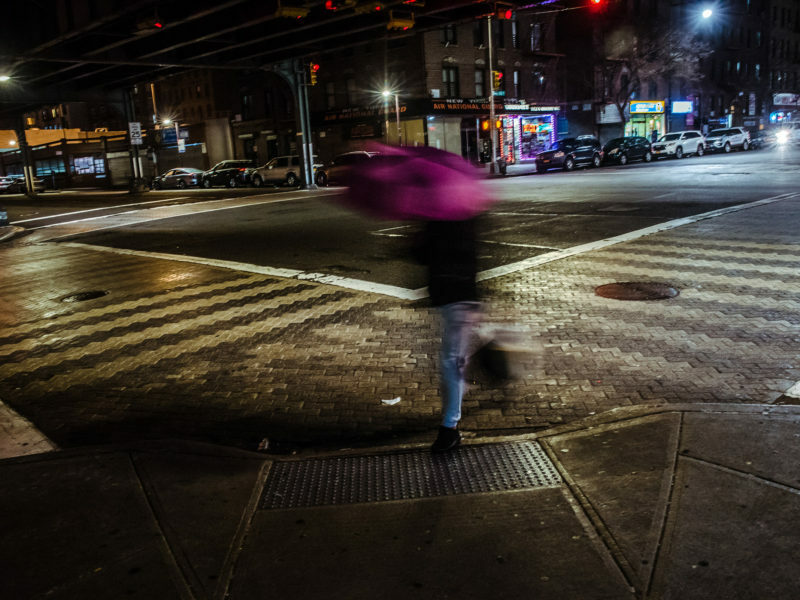 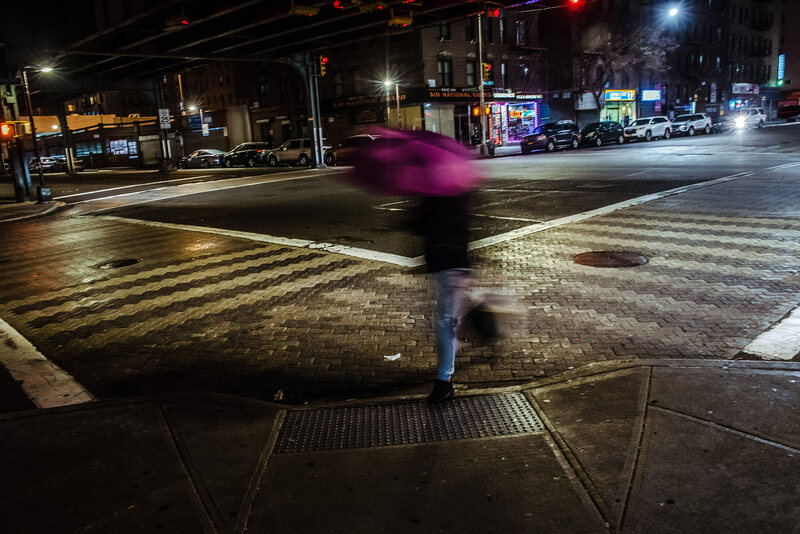 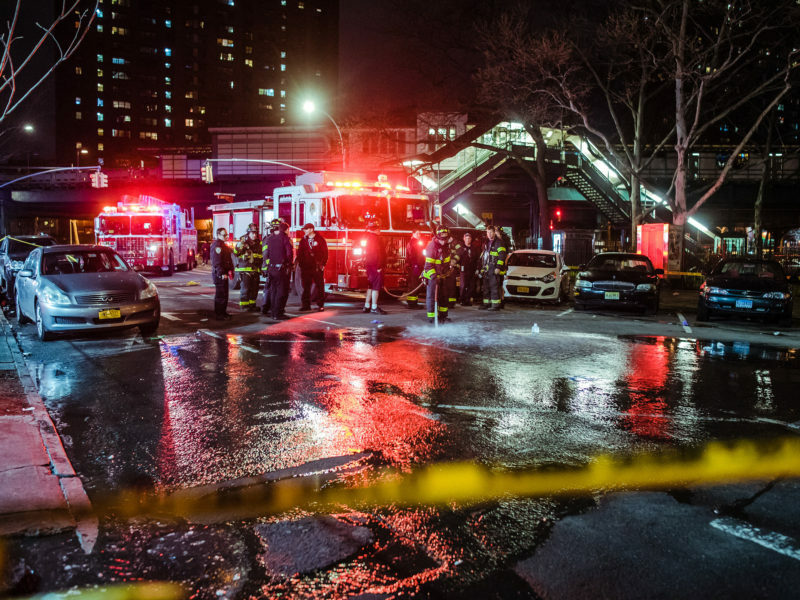 Months later, his truck killed another man, this time at 152nd Street and Jackson Avenue in the Bronx. 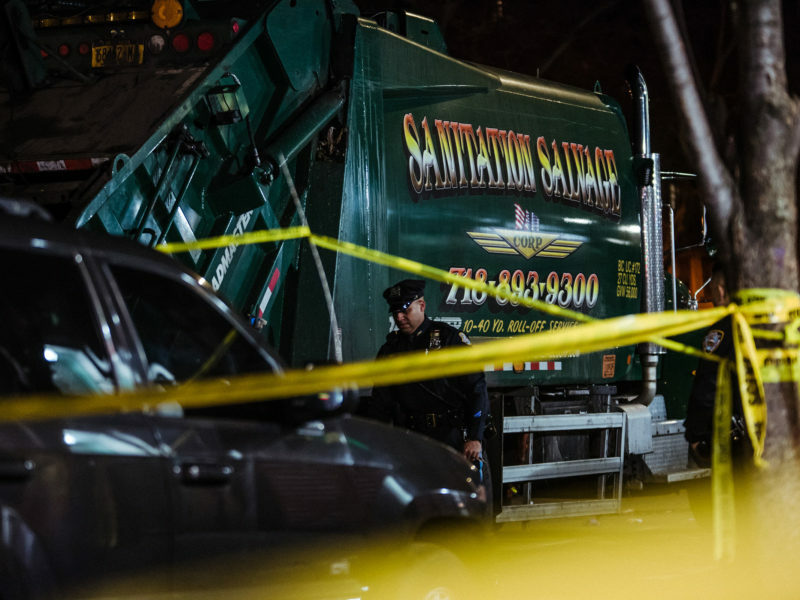 The scene of Sanitation Salvage’s second fatal accident in a span of months. 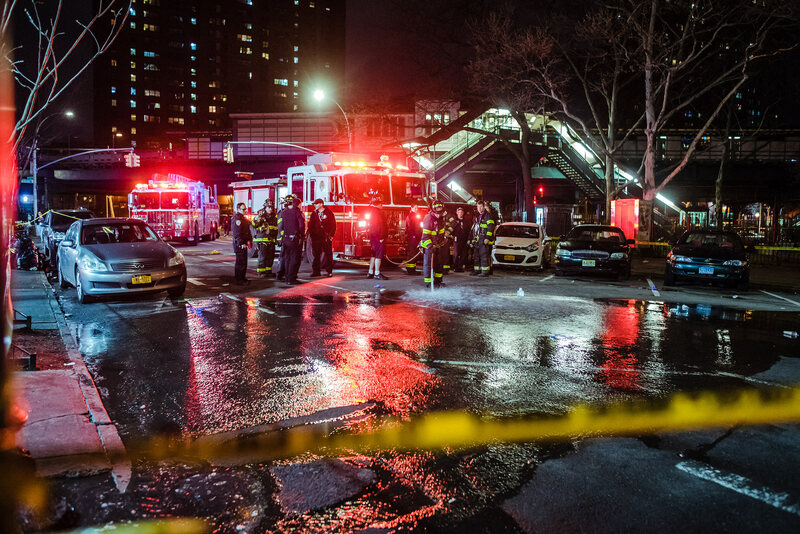 Bronx firefighters washed blood from the dead pedestrian into the gutter. 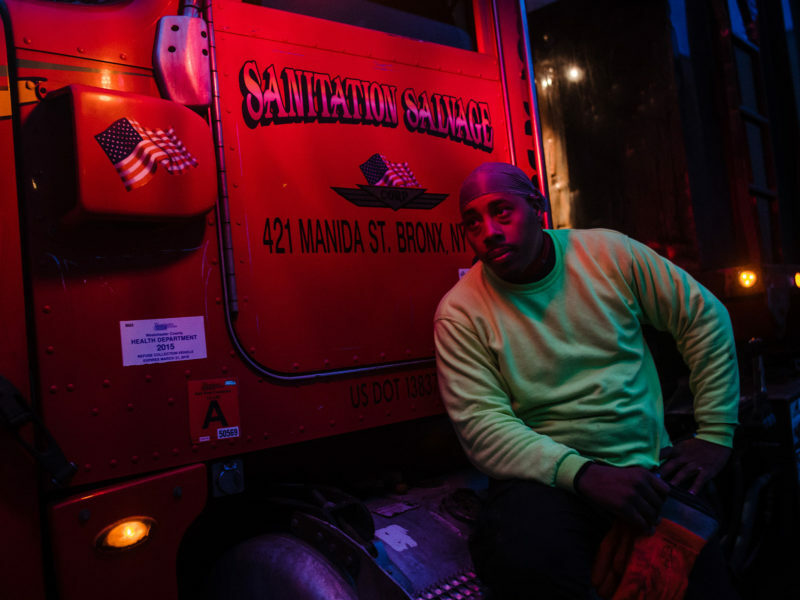 “The Squitieris run the Bronx,” Kajeem “Q” Hill in Soundview, a former worker at Sanitation Salvage, said of the trash company’s owners. 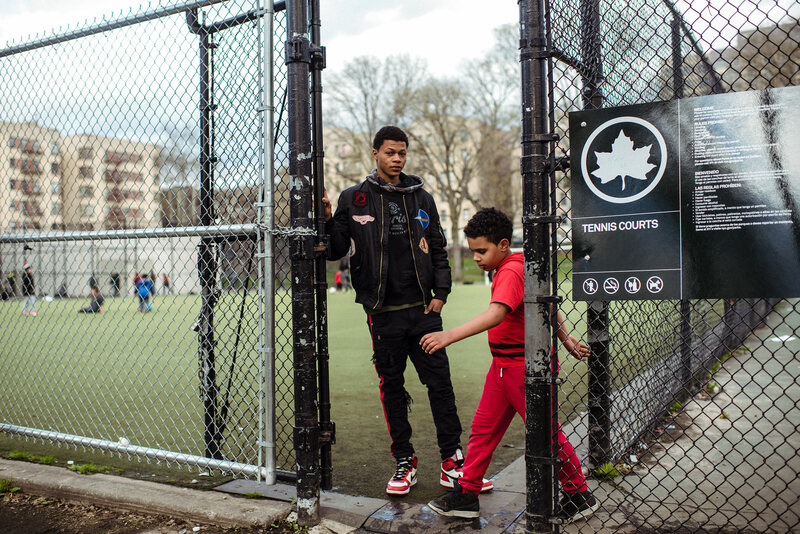 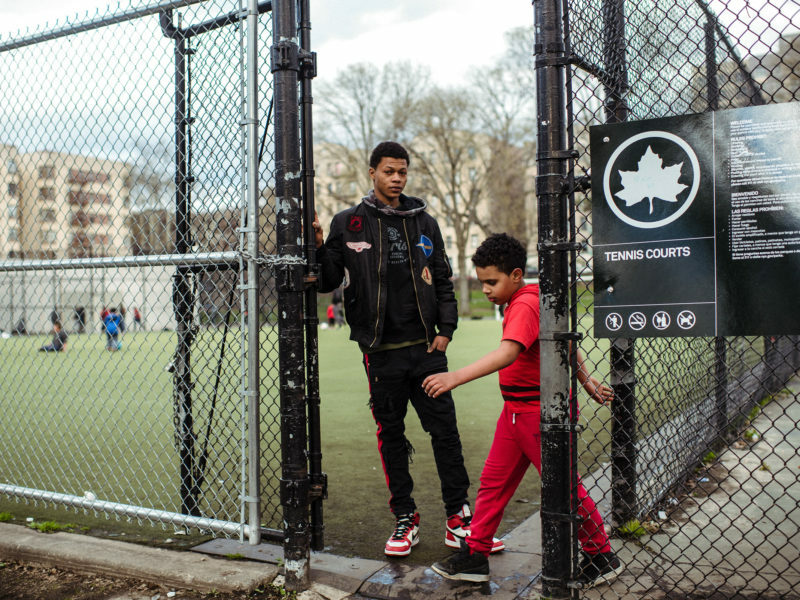 Mamdou Diallo at St. James Park in the Bronx, where he and his friend Mouctar Diallo played soccer regularly. 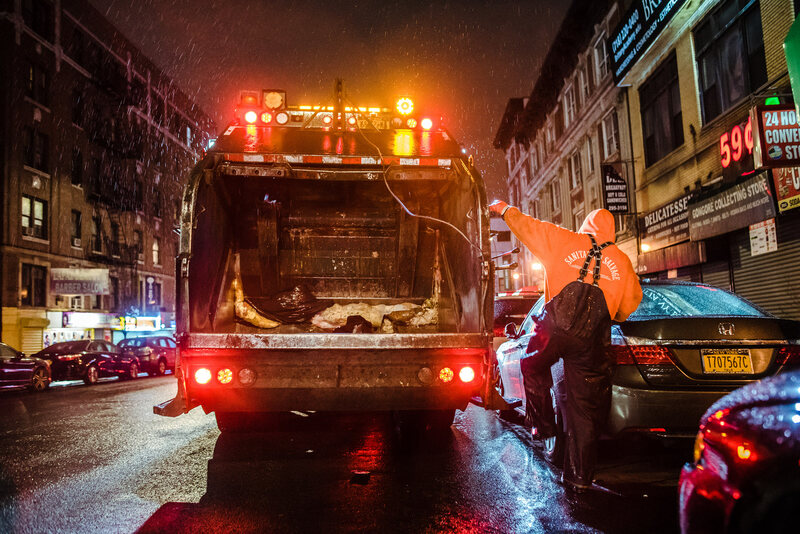 Mamdou often saw Mouctar riding on the back of a Sanitation Salvage garbage truck as an informal worker. 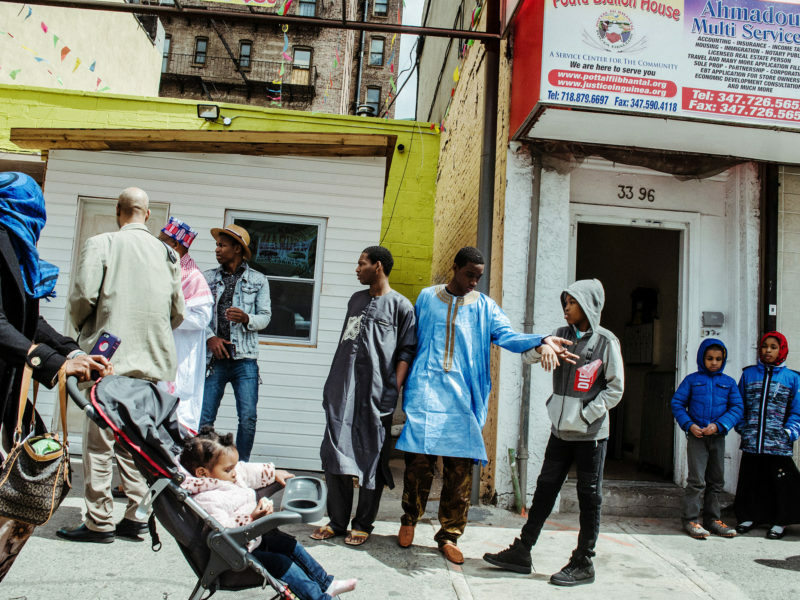 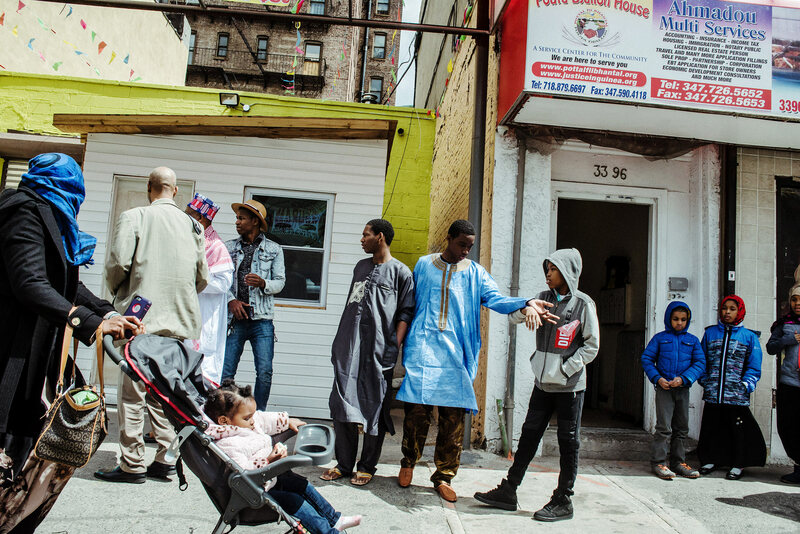 Outside the Bronx mosque where the funeral for Mouctar Diallo, an off-the-books worker for Sanitation Salvage, was held last fall. 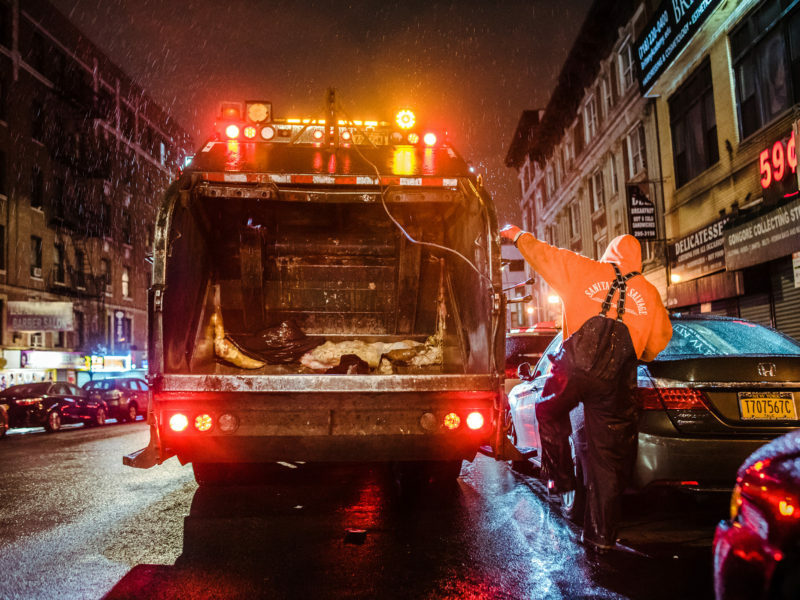 The waste industry, often never given a second thought by residents of New York, is one of the nation’s deadliest lines of work. 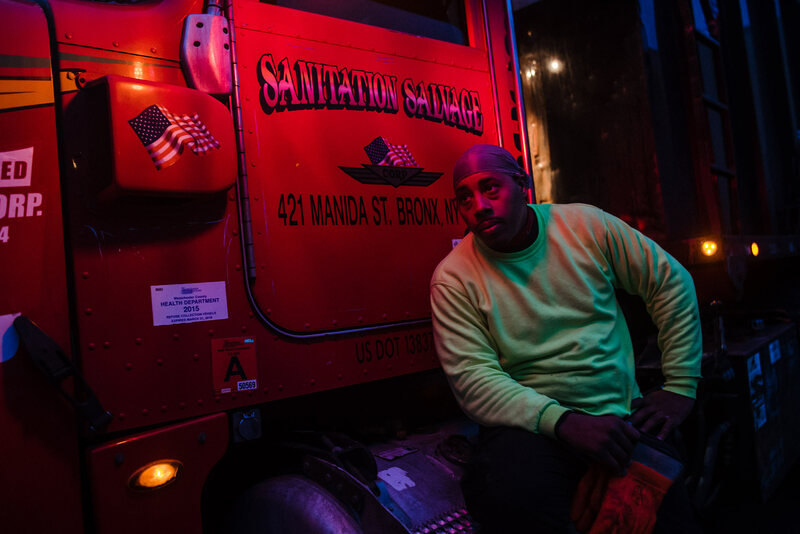 Workers at Sanitation Salvage complained to regulators years ago about dangerous conditions and stolen wages. 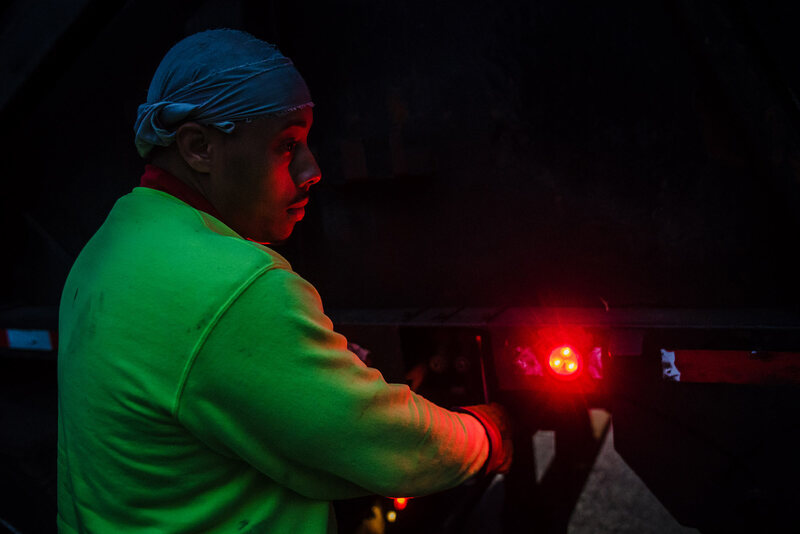 Like many other employees, this driver says he started as an off-the-books helper at the company and was paid $80 per night. 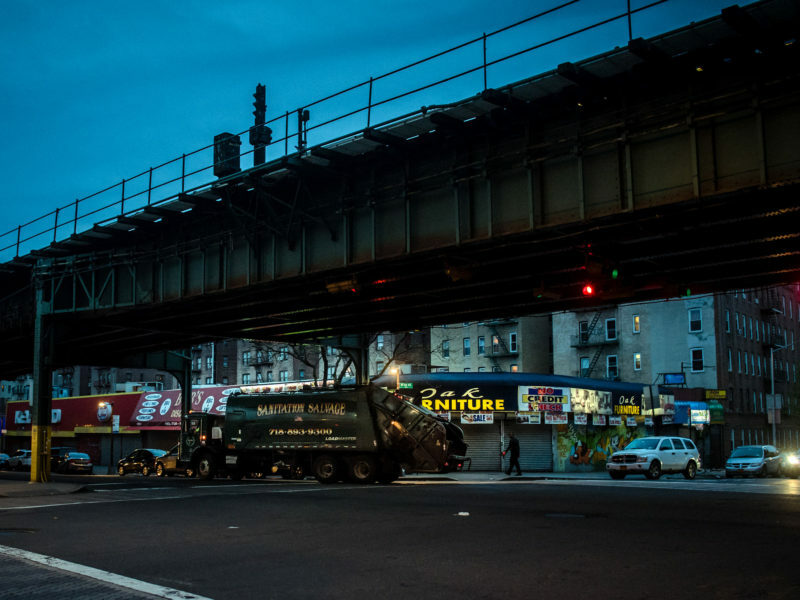 The corner at Jerome Avenue and Gun Hill Road in the Bronx where Mouctar Diallo was killed by one of the company’s trucks in November 2017.